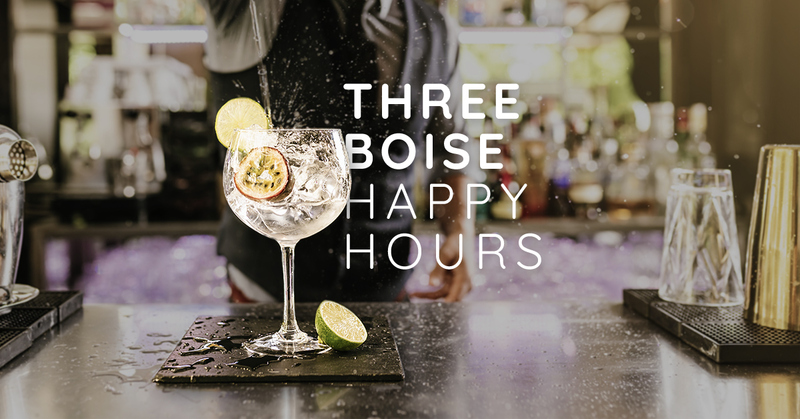 Juniper is one of my personal favorite happy hours in Boise. Their happy hour features 2 for 1 specialty cocktails with a tasty selection of food. Throughout their menu you will find local eggs, non-GMO, organic ingredients, cage free chicken and grass-fed beef. The fun, urban environment is great for friends or family to visit. My favorite drink there is the Punch Drunk. The Punch Drunk changes to combine seasonal flavors and spices. It can include anything from vodka to gin. Another great drink is the Juniper Gin and tonic. It comes with Juniper’s housemade tonic syrup that leaves you with a crisp and refreshing after taste. If you love beer and the environment like I do, then Bittercreek Alehouse is the happy hour for you! Their eco-conscious happy hour is every weekday from 3:00pm-5:30pm. Their goal is for customers to unplug as they dim the lights to reduce our energy footprint, and share drinks by candlelight. The best part is you know you are saving the planet while attending a happy hour. Their menu includes traceable food from local farms and Boise craft beer for just $3.00. Such a steal. Bittercreek is known for their mouth watering happy hour poutine. The poutine comes with fries and is smothered with gravy, pork and cheese curds. Mai Thai Restaurant’s happy hour is available all week long and includes 2-for-1 bar and cocktail drinks and appetizer specials. They have been voted best Thai restaurant in Boise, 12 years in a row for a reason. Their Fuji Mountain roll is by far my favorite sushi roll in Boise. But come hungry because the tuna, salmon, snow crab, and cream cheese will be sure to leave you stuffed. Mai Thai also has a great signature cocktail menu. The Mary Ann is delicious and comes with 44 North Huckleberry vodka, fresh lemon juice, topped with lemon flavored sparkling water, lemon peel and a brandied cherry.